R.S. Engineers custom design and manufacture a full range of Doctoring System for all applications on paper machines. Each Doctor Blade Holder is designed to meet the specific machine layout. This designing ensures that the doctor will provide optimal roll surface as well as sheet shedding. 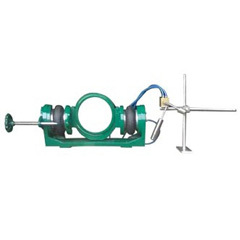 The blade holder is mounted to a doctor back that is designed with a maximum stiffness to provide a high safety factor against vibration. 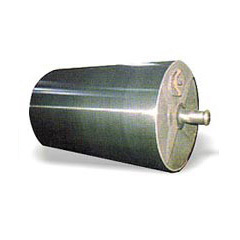 Doctor backs are manufactured using stainless steel, cladded stainless steel, mild steel, etc. The shape of the doctor back is such that water and crumbs flow freely away from the tip of the blade and do not accumulate on any surface of the doctor back. This designing prevents paper quality issues that may result from contaminants falling on the sheet. 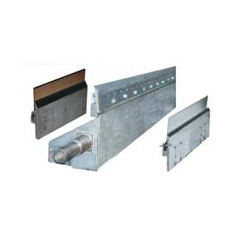 Different Blade Holders are available to meet the specific application requirement. 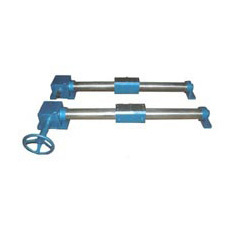 Turnbuckles with rod eye ends for positioning the doctors. Control Panel for pneumatically loaded Doctor Holder systems is manufactured in Stainless Steel. 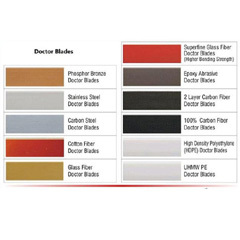 Doctor blades are supplied with a variety of qualities for various applications on wire press dryer and calendar. Glass Fiber Epoxy Blades, carbon fiber blades, HDPE & UHMWPE Blades.